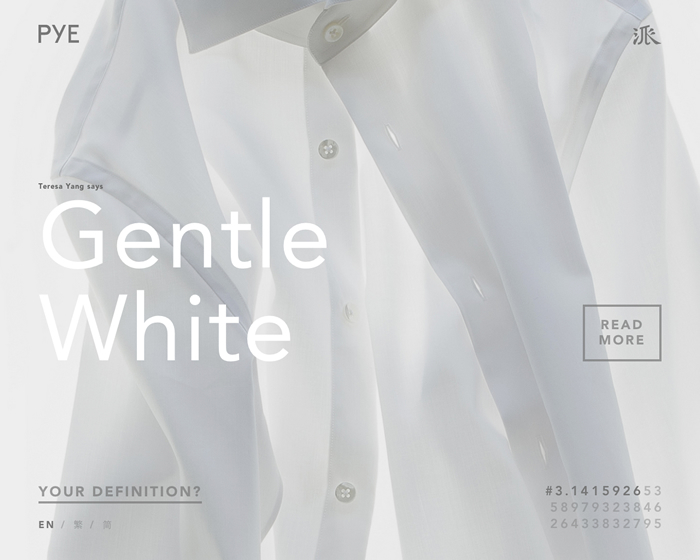 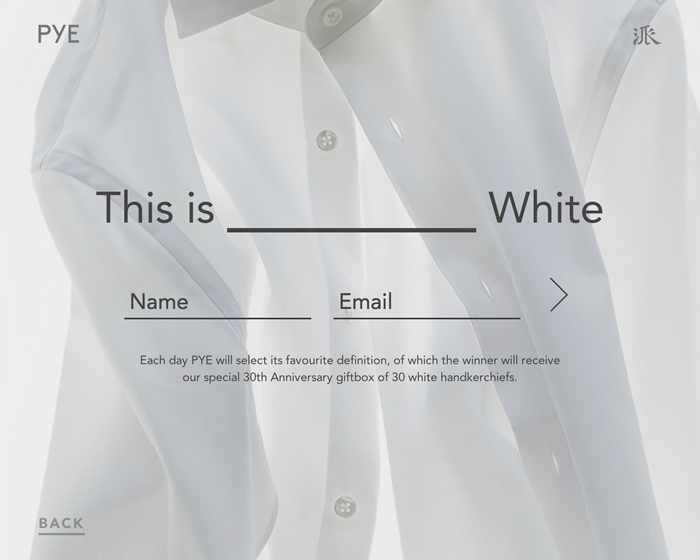 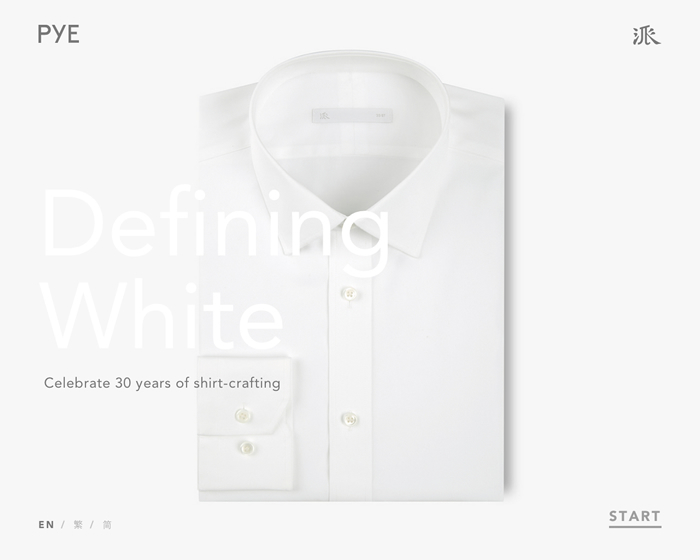 We have created a campaign website for PYE, celebrating its 30 years of shirt craftsmanship. 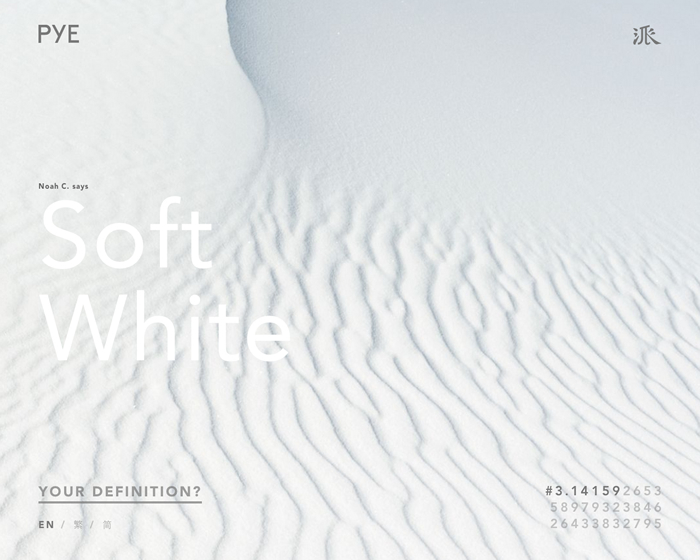 The philosophy of white is sophisticated. 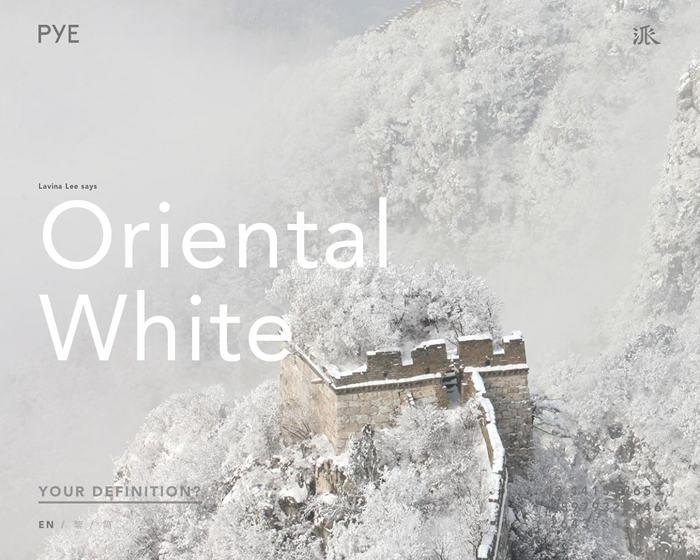 The definition of white is singular, yet contains a broad spectrum of meanings. 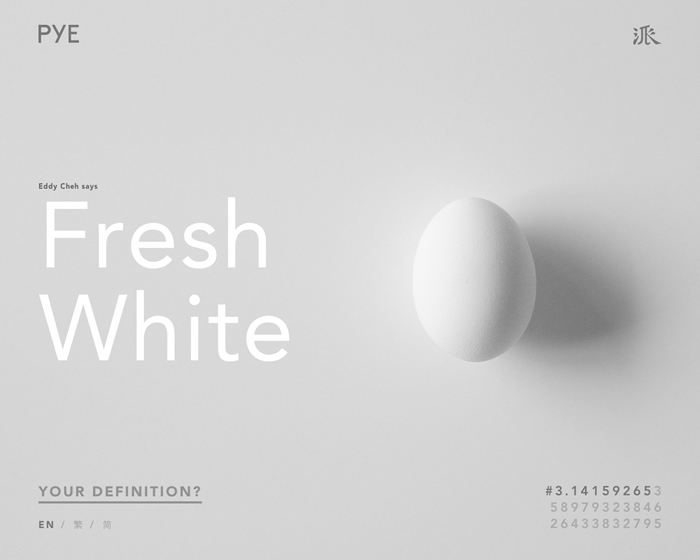 Defining White celebrates the color by letting the crowd contribute and appreciate the different meanings of white. 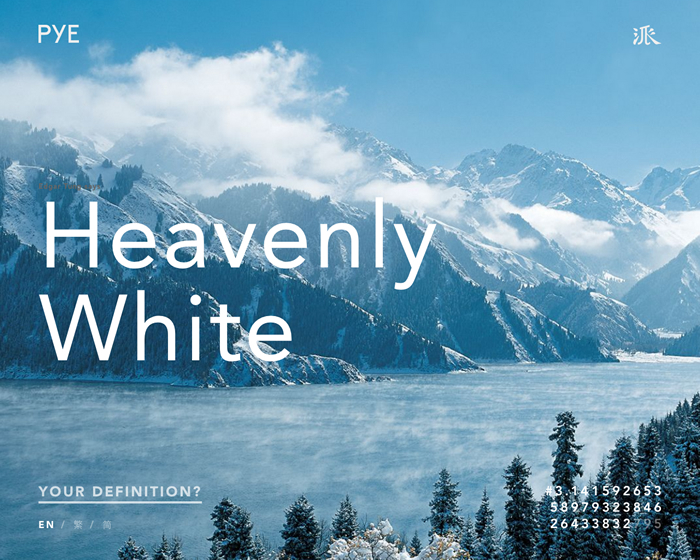 We used different images of white from both nature and our living environments to let viewers realize, appreciate, and provide meanings for the color white. 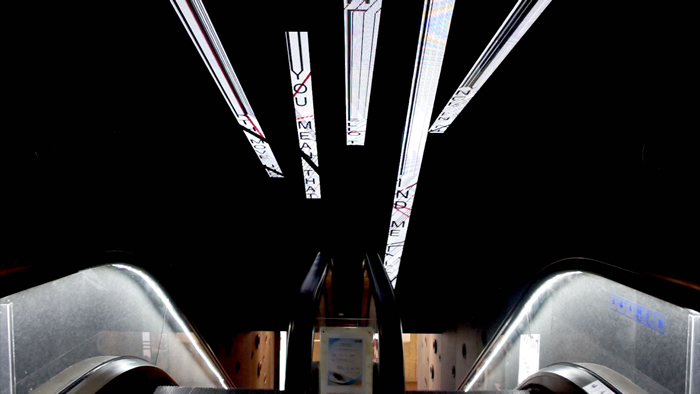 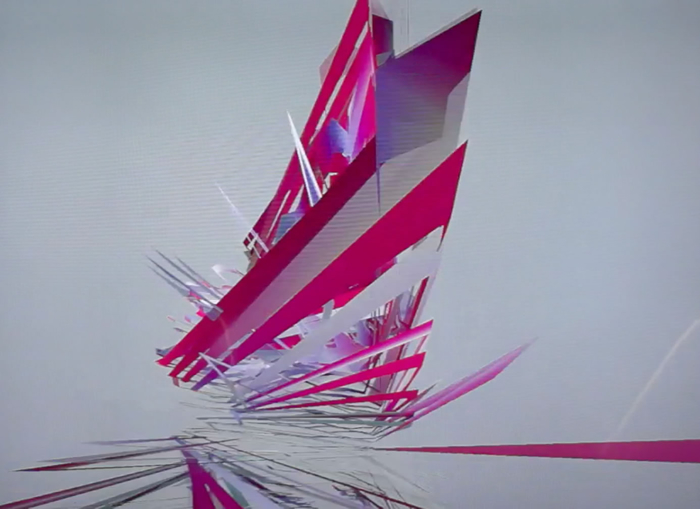 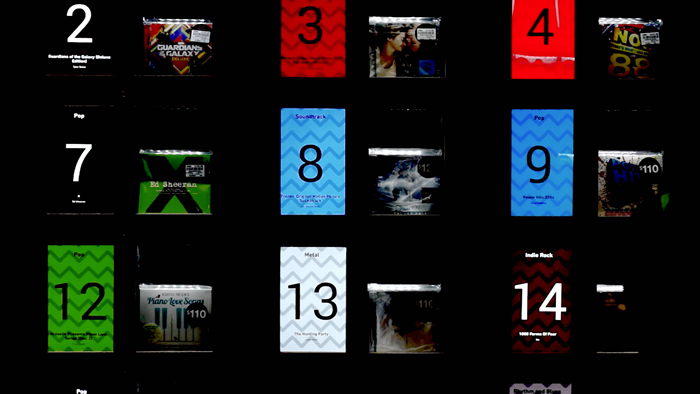 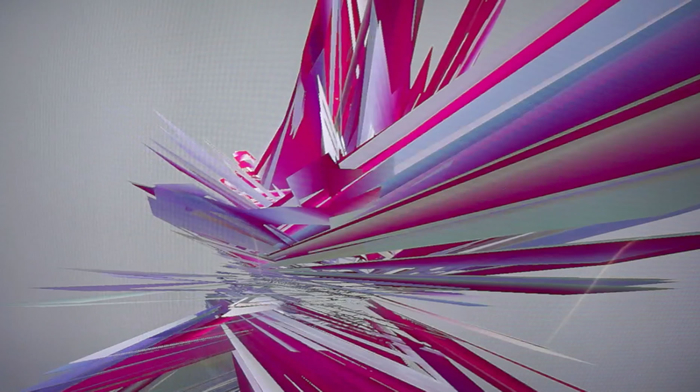 We designed and created a number of items in the new HMVideal concept store. 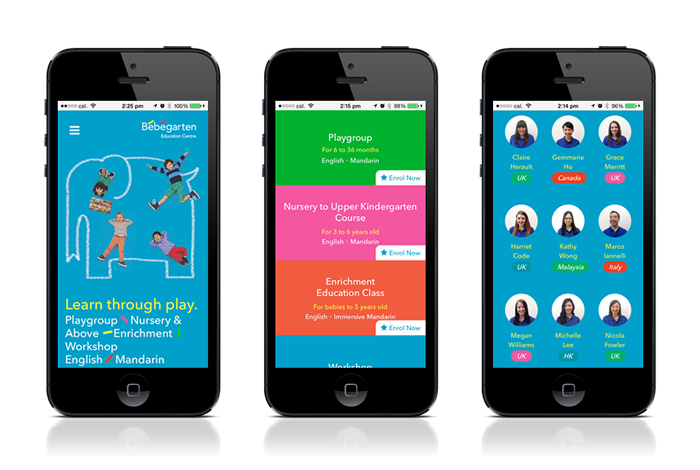 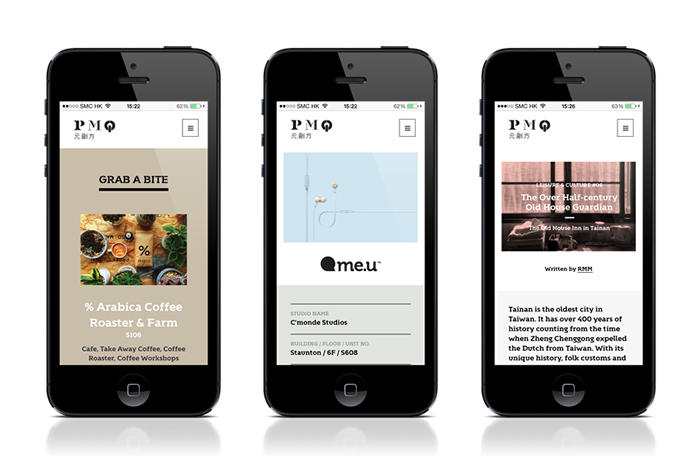 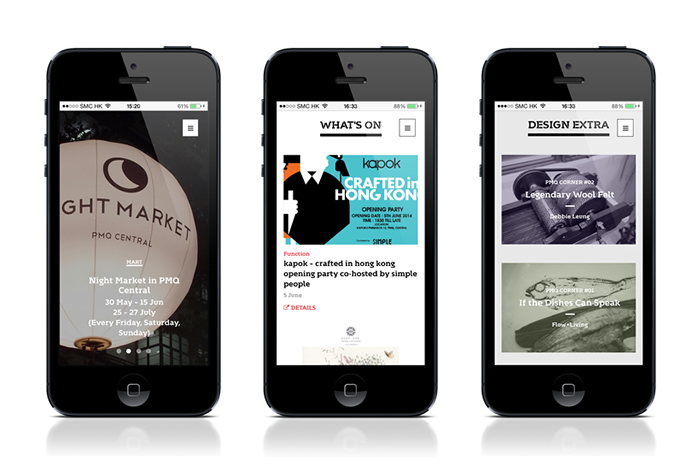 We have designed and produced the new official website for PMQ. 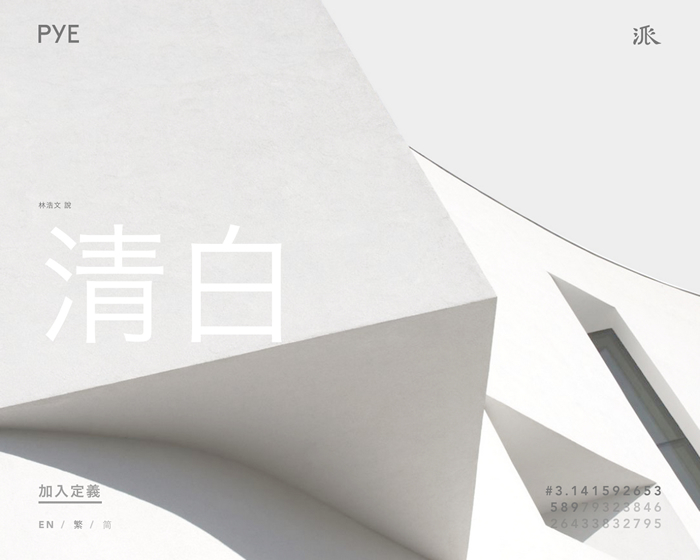 After two years in the making, the former Police Married Quarters has been revitalised into a new creative hub at the heart of Central, with a collection of studios, stores, and restaurants. 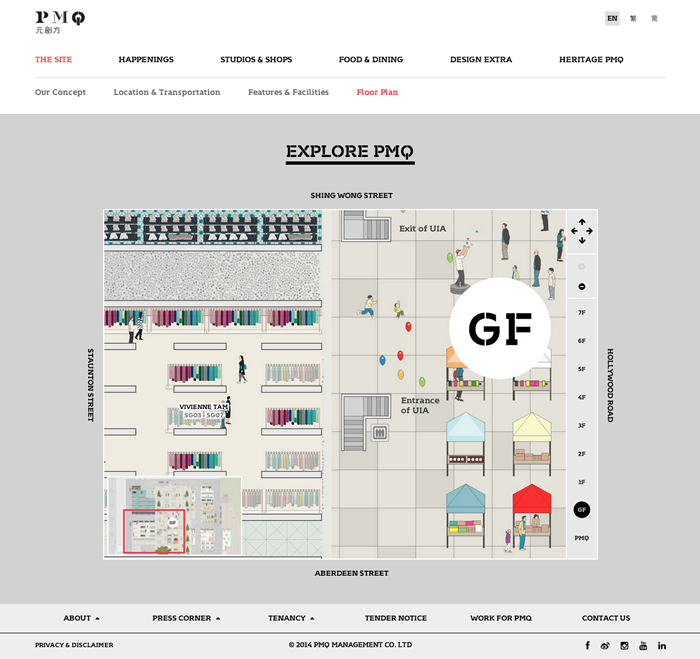 Because PMQ consists of many independent brands, we approached the project with a shopping-mall-like structure in mind, plus a magazine style of storytelling. 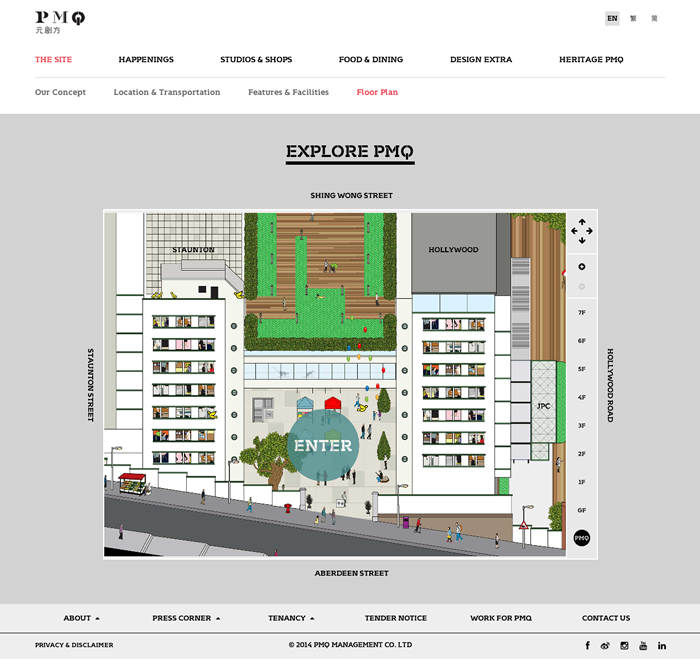 Together with an illustrated floor plan of the stores, we hope the website can allow visitors to explore PMQ’s space with style. 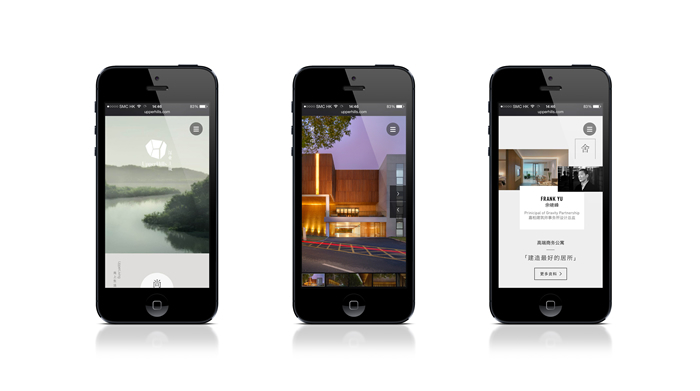 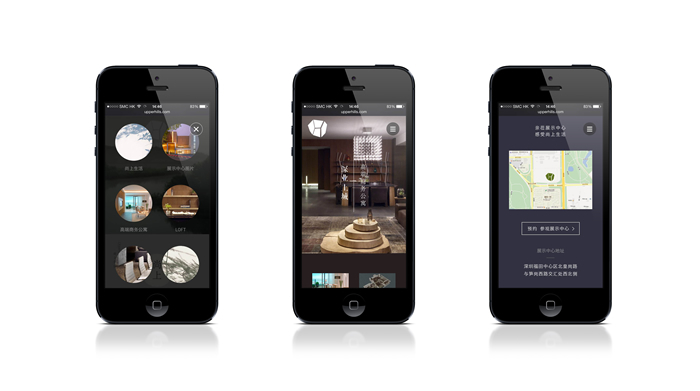 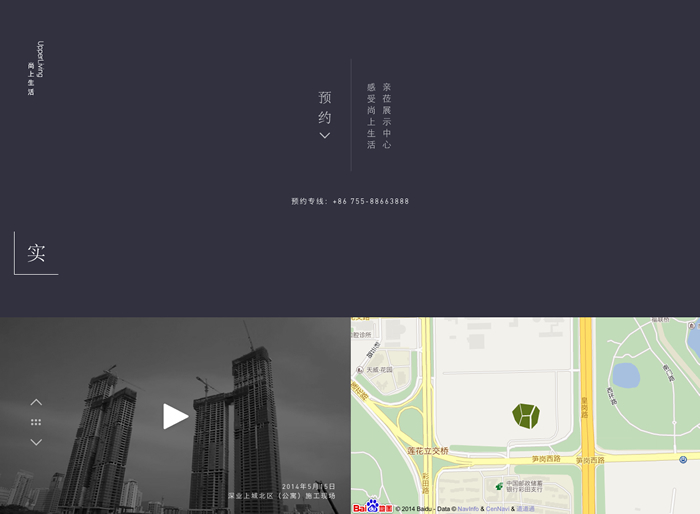 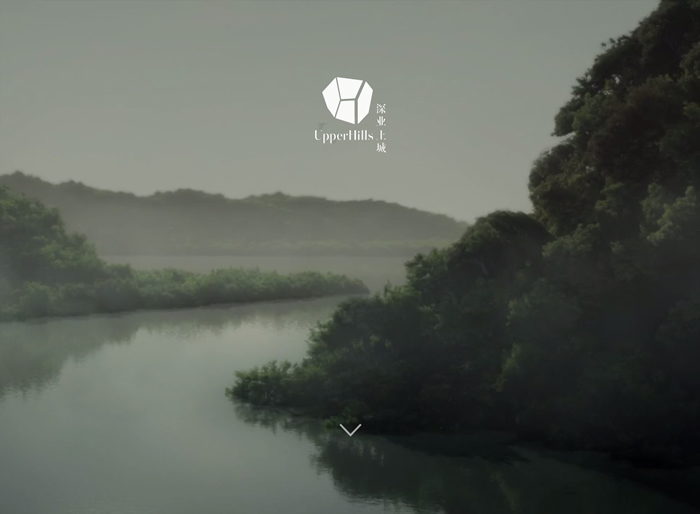 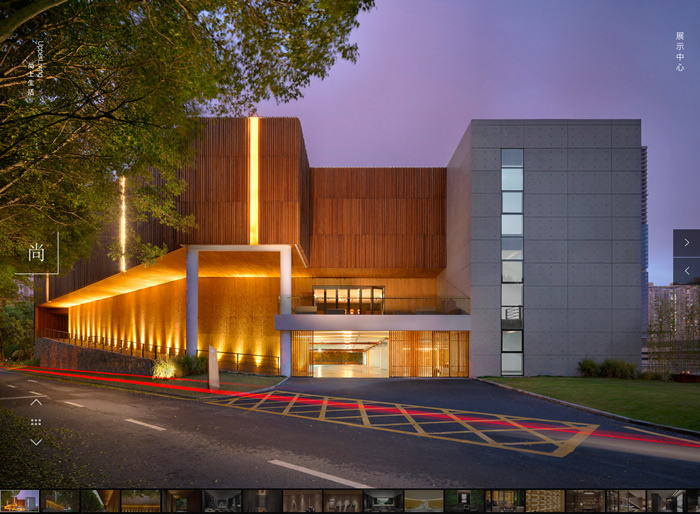 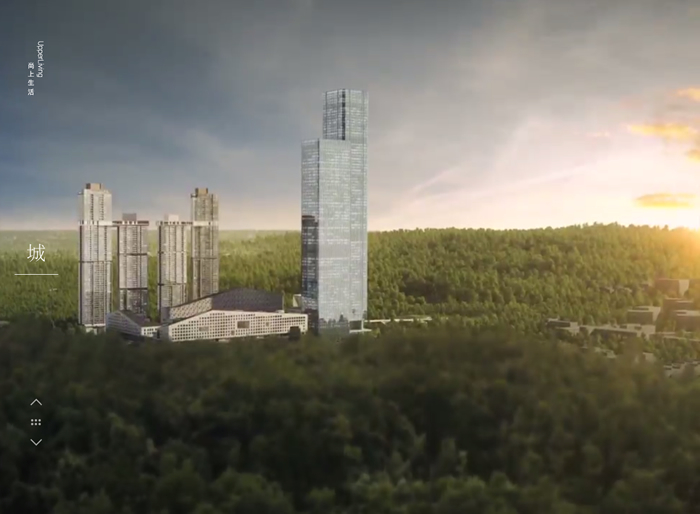 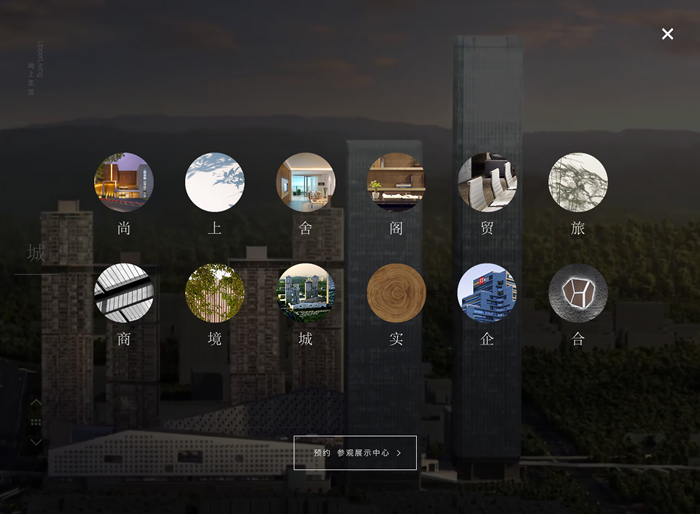 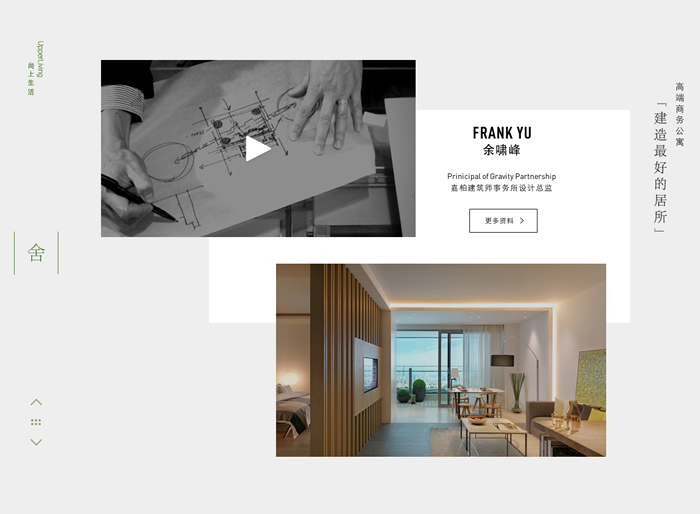 We designed a website for UpperHills – a large-scale urban complex based in Shenzhen. 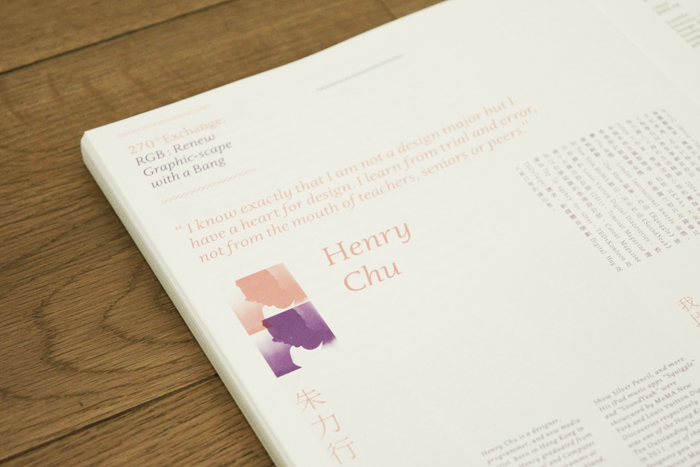 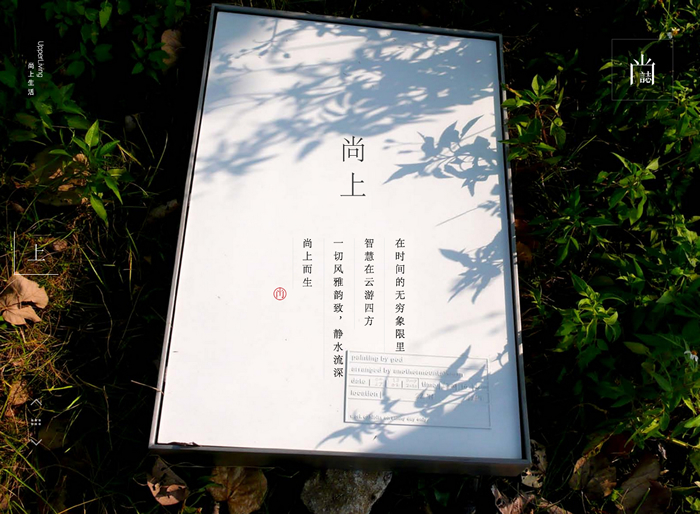 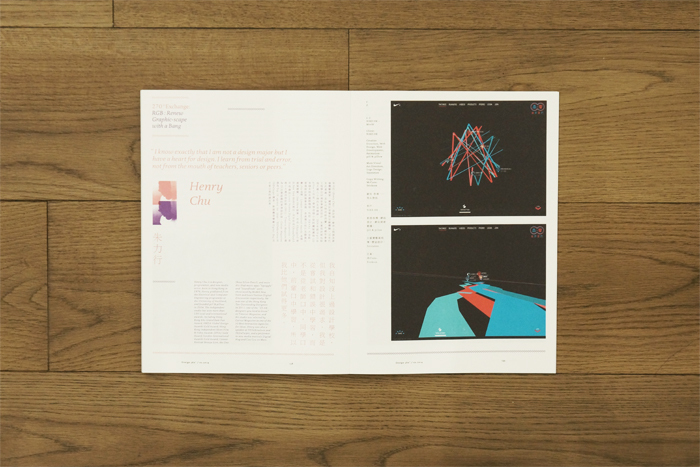 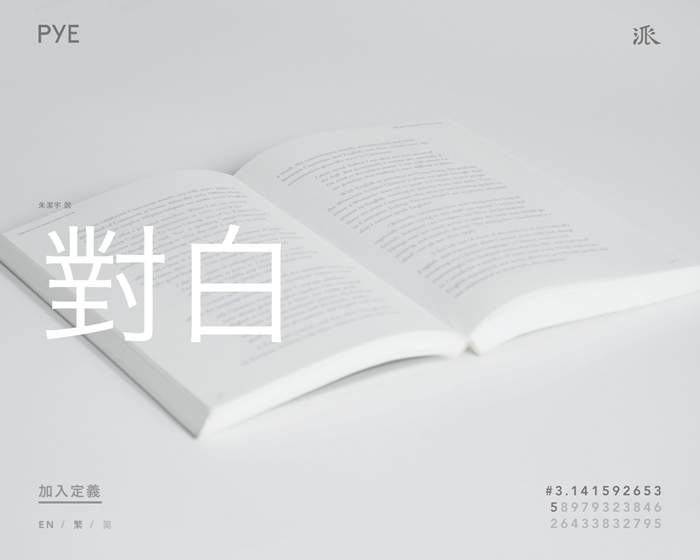 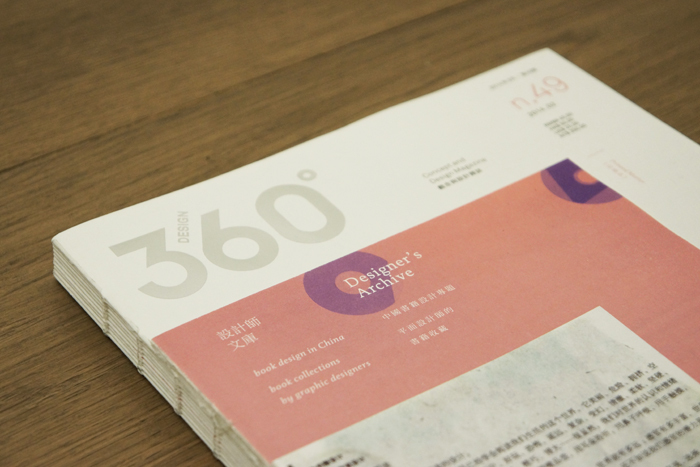 The main page is composed of twelve sections, each named by a single Chinese character. 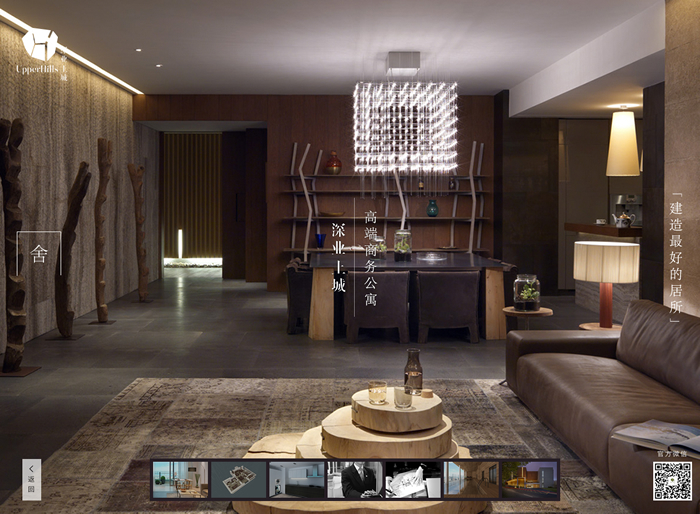 Each section provides an immersive experience of “Upper Living” to the visitors, as if they are exploring the actual show suites. 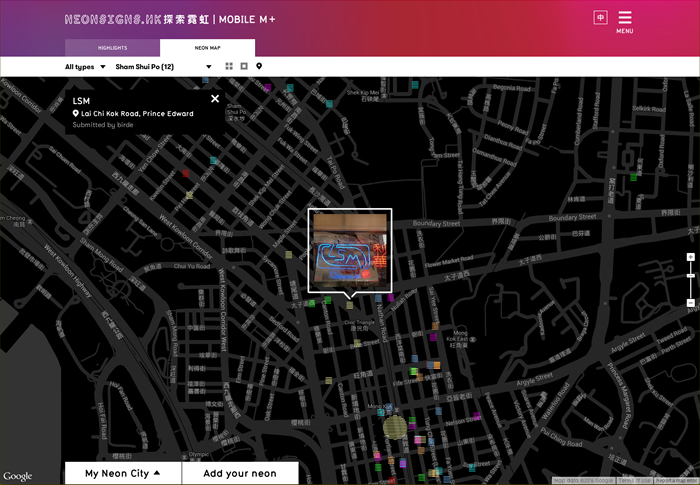 We collaborated with TURN to create “My Theatre Photo Booth”, an interactive kiosk to promote the new image of the shopping mall Lee Theatre. 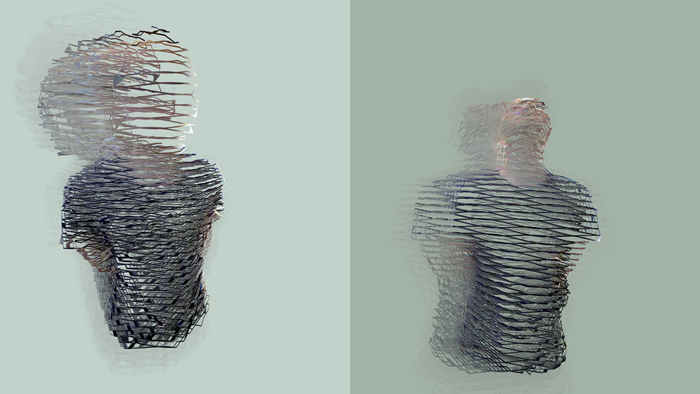 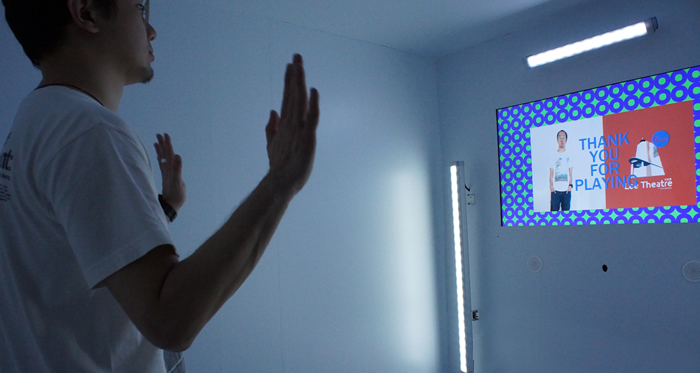 Based on the visitor’s outfit, the photo booth can generate a custom My Theatre icon, which can be downloaded via a QR code and shared across social media. 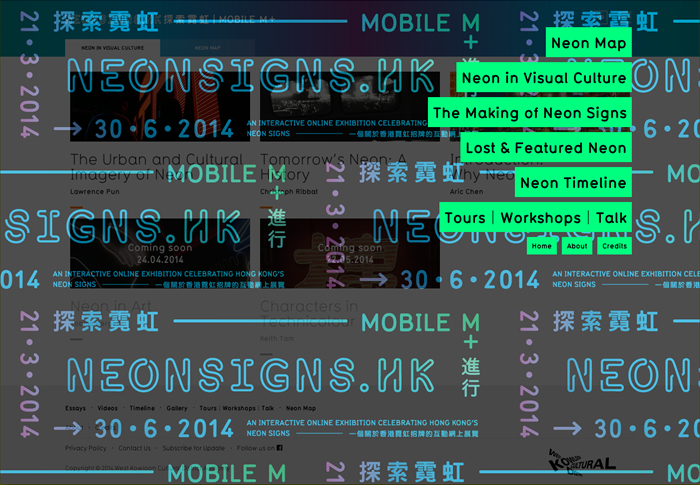 We have created the website for NEONSIGNS.HK. 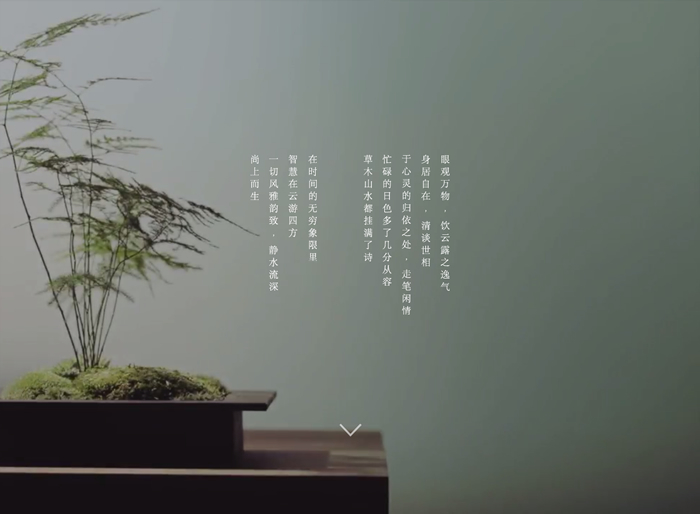 The identity is designed by gardens&co. 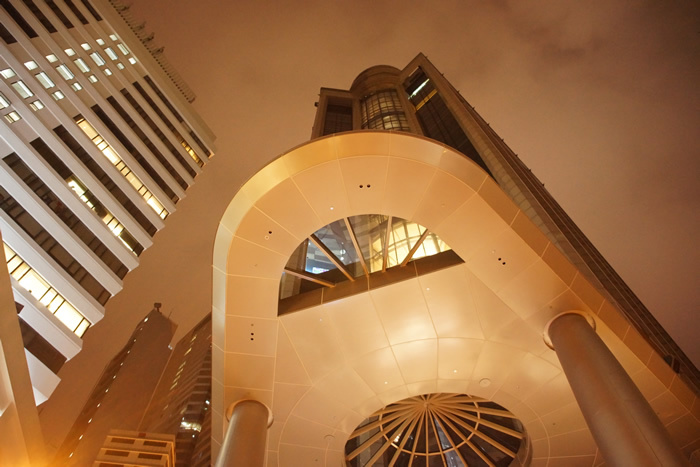 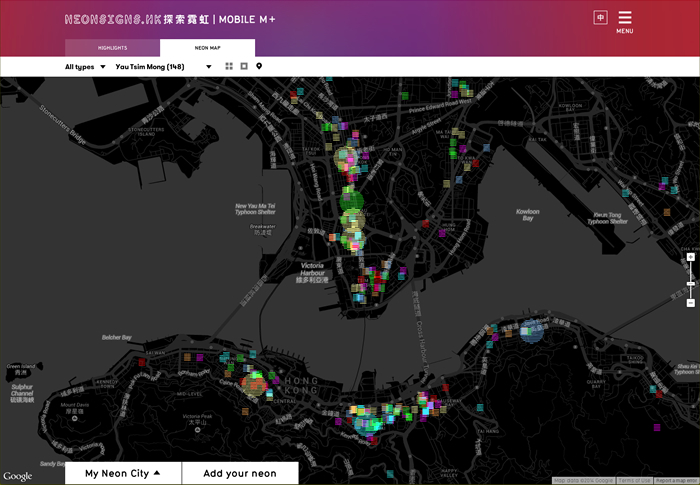 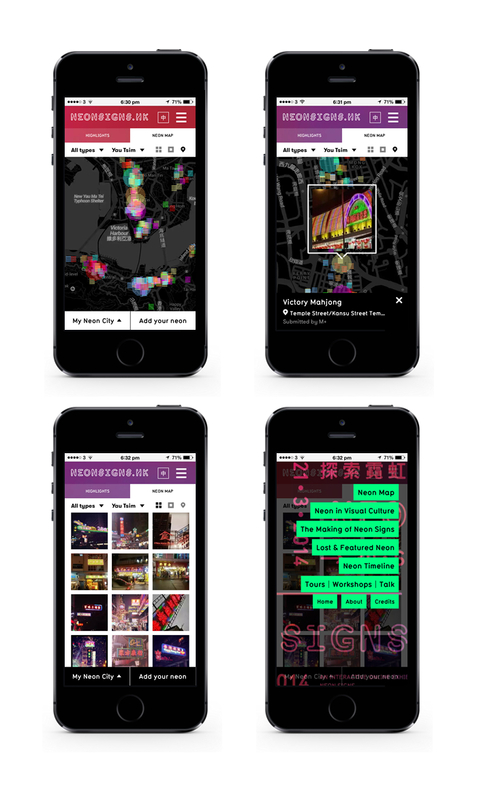 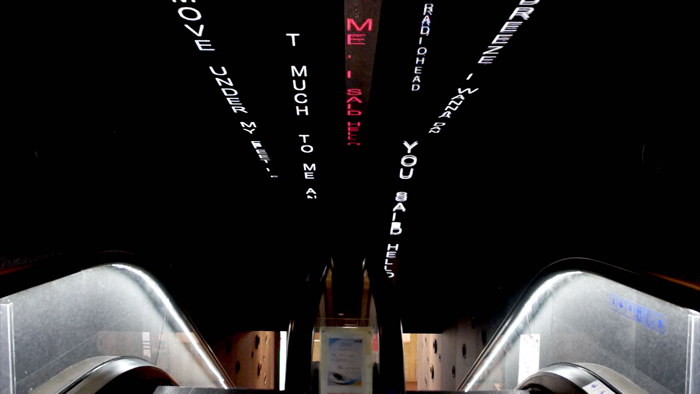 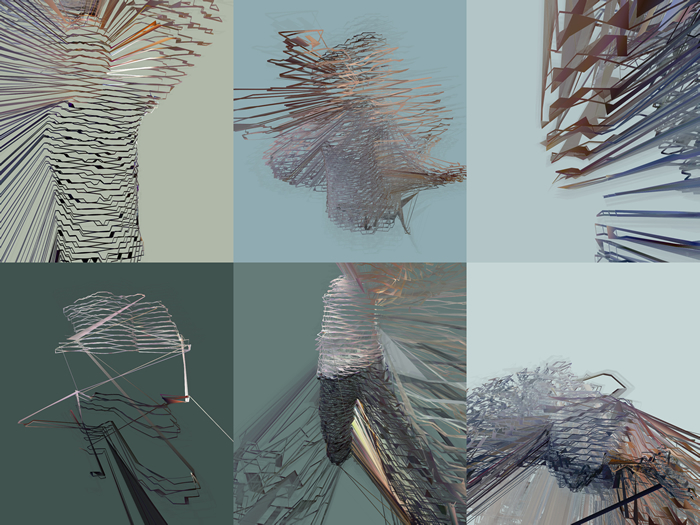 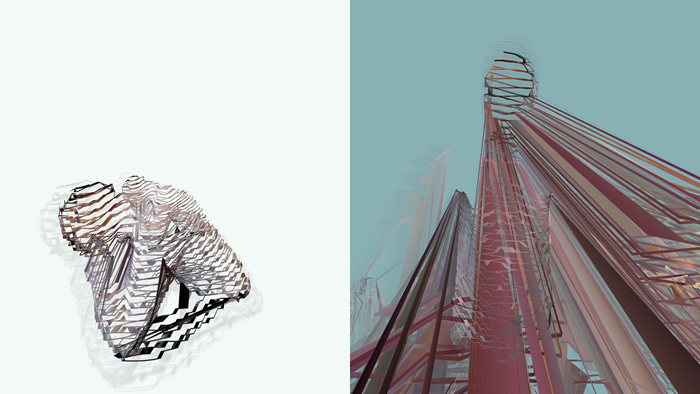 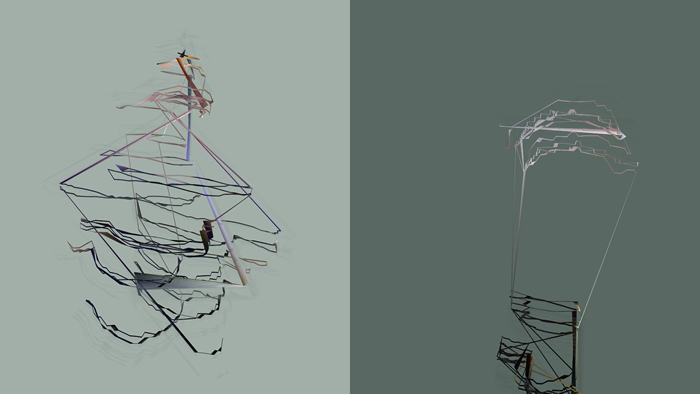 It is an online exhibition presented by M+, the museum for visual culture as part of the West Kowloon Cultural District. 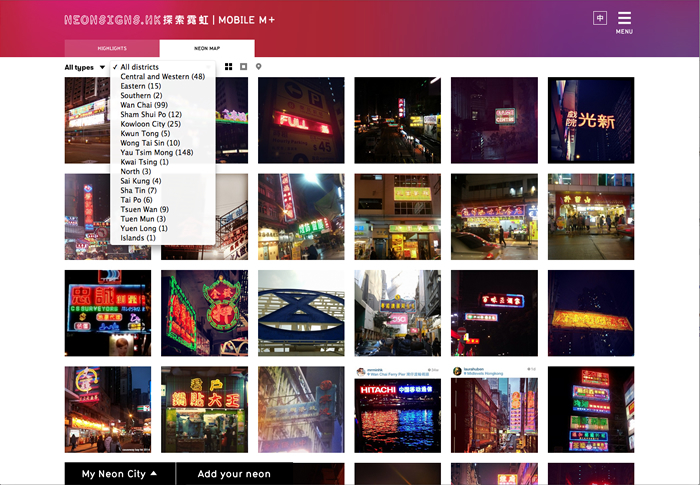 The website contains essays, videos, galleries, and a timeline documenting the history of neon signs, but in particular — we have created an interactive map that crowdsources photos of neon signs submitted by the public.